Lockheed Martin has awarded a multi-year, full-scale production contract to Telephonics to supply AN/APS-153 multi-mode radar systems for the US Navy’s Sikorsky MH-60R Seahawk multi-mission helicopter. Under the $330m modification contract, the company will deliver 160 AN/APS-153 radar systems and spares as well as provide engineering support to the US Navy. 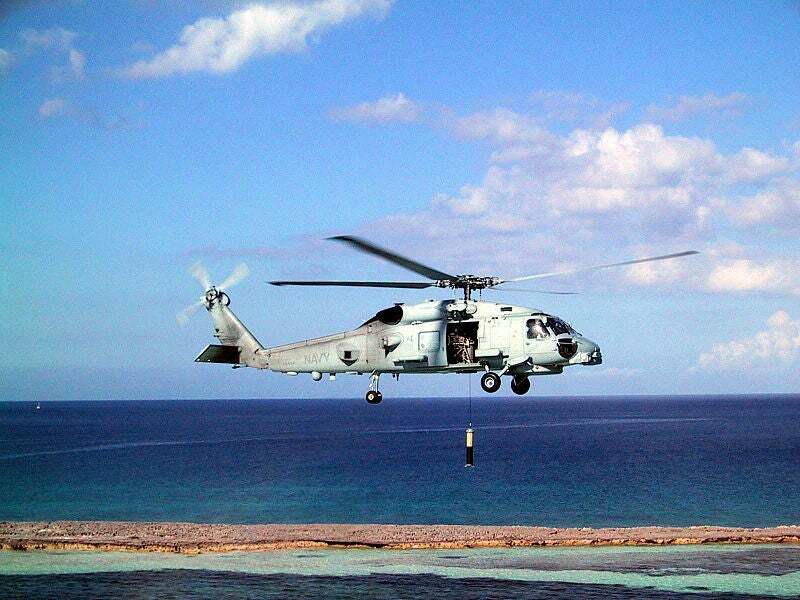 The radar systems will be equipped onboard MH-60R Romeo helicopter advanced mission avionics package. Designed as a successor to the AN/APS-147, the AN/APS-153 radar features Automatic Radar Periscope Detection and Discrimination (ARPDD) capability to help meet the Navy’s mission requirements. Telephonics Corporation president Joseph Battaglia said the highly capable system incorporated with advanced features will serve Naval Aviation well for many years to come. "The AN/APS-153 Multi-Mode Radar, with the advanced ARPDD mode, provides the U.S. Navy with an unprecedented capability to successfully perform their difficult and often dangerous missions," Battaglia said. Additional features of the radar include small target detection and Inverse Synthetic Aperture Radar (ISAR) imaging that allows it to provide reliable maritime domain surveillance in all weather conditions, day or night for the Navy. The radar’s fully internally integrated, Identification Friend or Foe (IFF) interrogator capability enables it to upgrade to Modes 5 and S.
The advanced maritime helicopter, MH-60R Seahawk serves as a primary anti-submarine warfare anti-surface weapon system from frigates, destroyers, cruisers and aircraft carriers in littoral zones. The aircraft will also support missions, including anti-submarine warfare, anti-surface warfare, combat search and rescue, vertical replenishment, and airborne mine countermeasures. A portion of the AN/APS-153 radar systems also form part of the Australian Foreign Military Sales contract. Image: The US Navy’s MH-60R Knighthawk helicopter performs airborne low frequency sonar (ALFS) operation during testing and evaluation. Photo: US Navy.